Thursday nights are curling nights for my husband. He alternates weekly between the early and late draw and, on the early nights, I need to have dinner cooked and ready for him to eat and head right back out the door. 5:00 always seems to be when my kids are at their absolute worst so I need quick, easy recipes that require very little watching. Bonus if it is something I can prep while the baby naps and then just throw it into the oven! I discovered this recipe one night when I had no idea what to make for dinner. 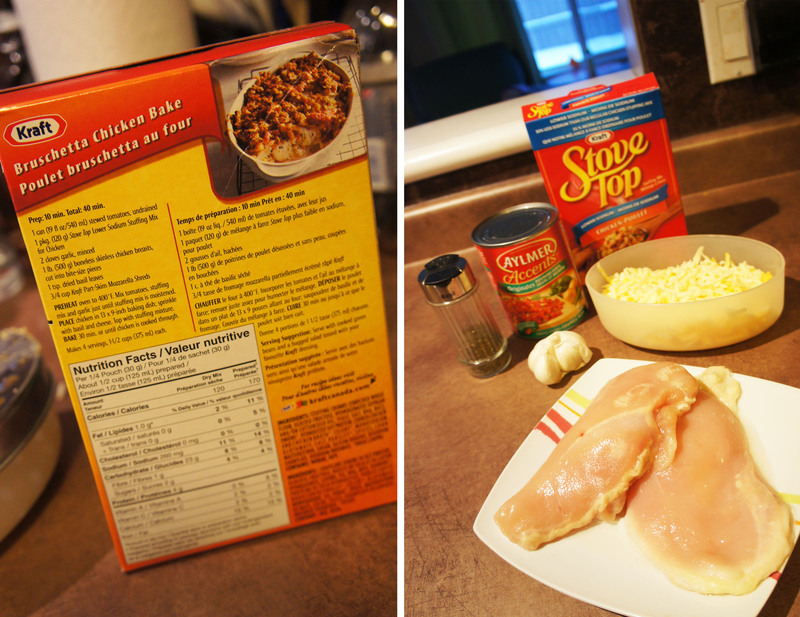 After staring into the pantry for inspiration, I eventually pulled a box of Stove Top stuffing down from the shelves and was happy to discover a recipe on the back of the box with ingredients I already had in the house. It came together so quickly (prep time is 10 minutes) and was a lot tastier then I expected. I think it is one of the easiest things I make and is my go to when I am feeling particularly lazy and don’t want to cook. 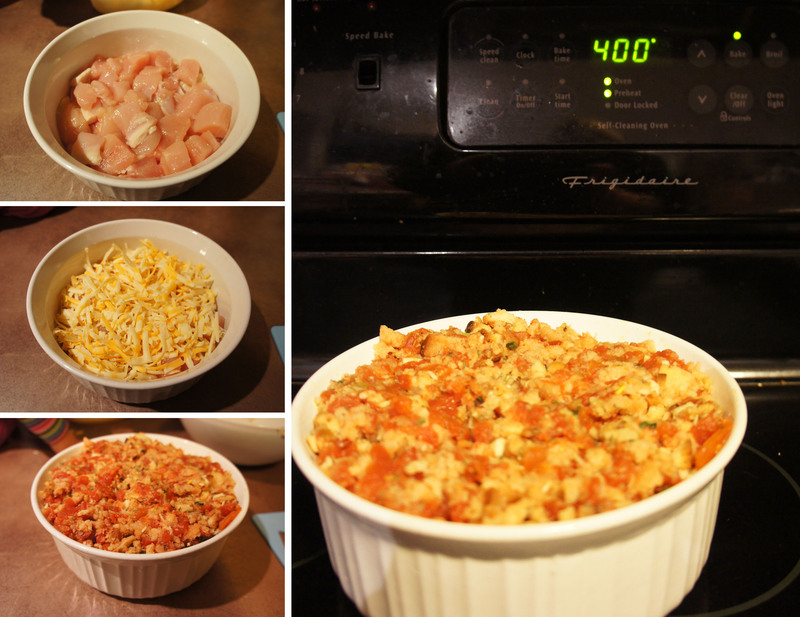 Preheat oven to 400 F. Combine tomatoes, stuffing mix and garlic in bowl and mix together. Cut chicken breasts into bite sized cubes and layer in the bottom of an oven safe baking dish. 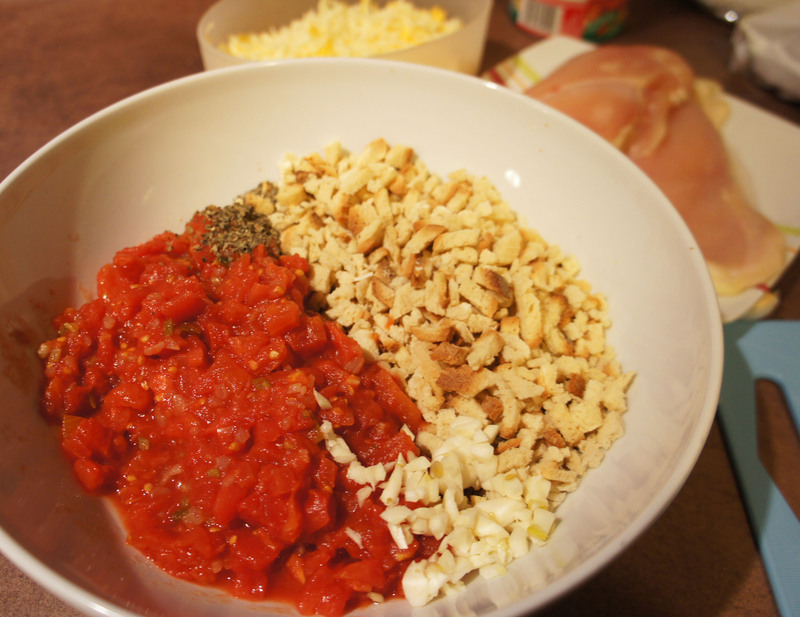 Sprinkle chicken with dried basil and shredded cheese. Bake 30 minutes, until chicken is cooked through. 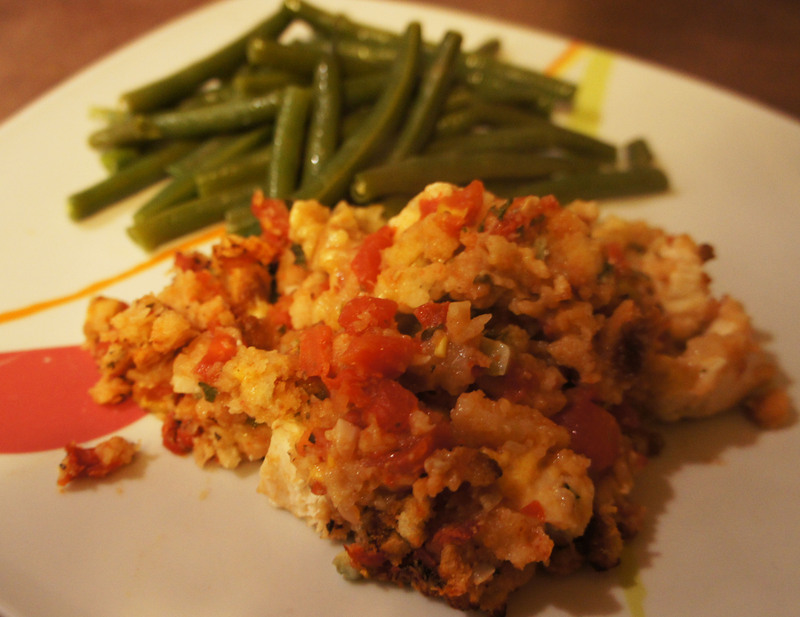 Serve with steamed veggies and enjoy!